The automobile is often seen as a separate machine from your cell phone. You spend a lot of time in your car and on the cell phone but they do not usually ‘understand’ or operate in sync with one another. The cell phone may go off and you pick up the call using your hands-free while driving. While this may seem perfectly fine, the Highway Loss Date Institute found that using hands-free mobile devices doesn’t actually reduce the risk of accidents compared to handheld cell sets. A new button is introduced in Ford’s SYNC built-in communications and entertainment system which allows users to block incoming calls and text messages from Bluetooth-connected cell phones. 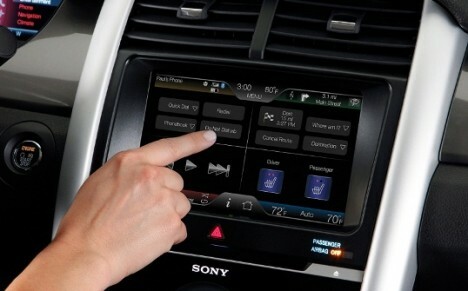 The system is available in 2011 Ford Edge and Lincoln MKX models. Once activated, the button functions almost like a ‘Do not disturb’ sign for the user to engage in focused and safe driving. Instead of technology which monitors use of the cell phone while driving, this innovation blocks users from answering calls or replying to text messages. Incoming calls and messages are directed to mailboxes or voicemail. However, users can still make outgoing voice calls and quick dial the emergency numbers.